This is Adison. 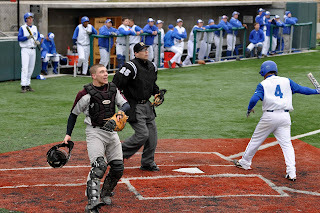 He plays baseball for Morningside College. He also might become the oldest ring bearer in world history. Cast your vote. What do you think? Should Adison be the ring bearer at Mitch's wedding this summer?